Perhaps it is the long curls falling over her cheeks that makes Elizabeth Barrett Browning look like a stereotypical wan, Victorian poet. Although her love sonnets, especially “How do I love thee…” still live on in many readers’ imaginations and are sometimes quoted in wedding toasts, they have become too saccharine for many of us. Poets’ reputations veer up and down almost as quickly as those of basketball coaches or rap artists. 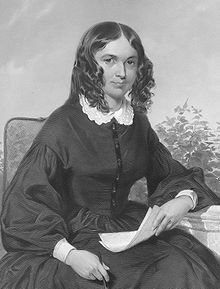 Now we are in another century and Elizabeth Barrett Browning is being looked at in a new light—not as a poet of love and harmony, but as a disruptive radical. She spoke out on many social issues including child labor. Ere the sorrow comes with years ? They are weeping bitterly ! Slavery was another favorite subject of Barrett Browning and her feelings about this were no doubt influenced by her family’s history as slave-owners in Jamaica. Elizabeth was aware, as was the rest of the family, that they had cousins and other relatives who were of mixed African and English blood. Some of the mixed-race children born to slaves on the Jamaican plantation that was home to Elizabeth’s grandfather, were acknowledged, others were not. Elizabeth and her siblings, who were dark skinned, probably had some African blood. Some critics speculate that a desire not to have more mixed-race grandchildren was the reason for Elizabeth’s father’s refusal to let his children marry. Although it’s hard to figure out why a man who did not want grandchildren would produce twelve children of his own. And every heart-beat down there in the bill. Her concerns were the same ones that women struggle with today. It’s time to free her from the tyranny of being seen just as a poet of love. A good place to start is with the book Dared and Done: the Marriage of Elizabeth Barrett and Robert Browning by Julia Markus. It’s not a complete biography of her life, but a very readable account of her surprisingly happy marriage with another great poet. Together they faced many of the same issues that dual-career families face in the 21st century. It gives us a new picture of what those Victorians were really like. A thoughtful review of this poet. Makes me want to go back and reread her work. Thanks. Wonderful post! 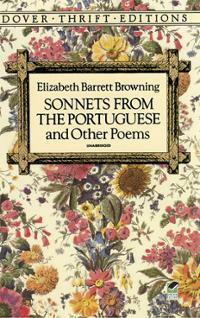 EBB is a fascinating poet who should be more widely read today. Advocacy likes yours will help restore her to her rightful place as a thoughtful and powerful writer. Thank you!